Finance Minister Arun Jaitley counted concessions for the small and medium industries -- whom he identified as "a key part of middle class" -- as the third benefit. All businesses up to 250 crore turnover, small and medium scale businesses, uniformly will have to pay 5 per cent less tax so that they have a lot more investible surplus, he said. NEW DELHI: Finance Minister Arun Jaitley had made a rare reference to the middle class in his budget speech and counted the contribution of the salaried class to the government's tax revenues. "The lower and middle class have been the focus of our Government during the last three years," he told parliament today. At the media briefing that Mr Jaitley addressed later in the day, he was asked to spell out three big advantages given to the middle class in the Union budget. This is what he said. "I think this is the first time that the salaried class as a whole and its contribution as a taxpayer have been singled out. And when I say salaried class, I include pensioners in it also. This total 2.5 crore, is almost 25-30 per cent of the total taxpayer base. And we have recognized their contribution and therefore, we have given them a standard deduction of 40,000 irrespective whether in private employment or public employment," he said. "Secondly, I think our senior citizens, which with the longevity increasing, is also a very important part of the middle class and we have a whole chapter on it. And I have given them additional avenues of investment. The Finance Minister counted concessions for the small and medium industries -- whom he identified as "a key part of middle class" -- as the third benefit. "And as far as businesses is concerned, I have not forgotten them either. 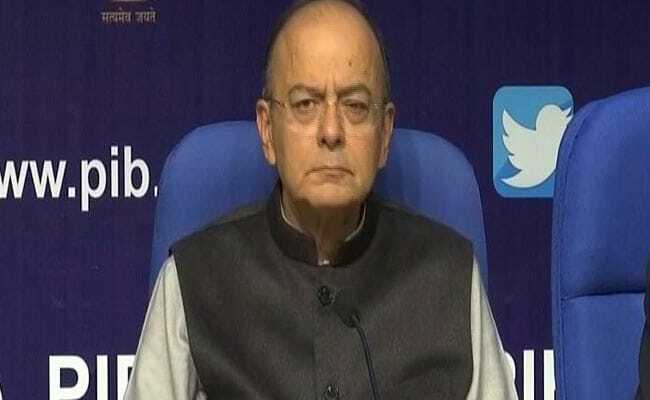 All businesses up to 250 crore turnover, small and medium scale businesses, uniformly will have to pay 5 per cent less tax so that they have a lot more investible surplus," the finance minister said, before going on to list the concessions that he had extended to the middle class in the budget presented in previous years.